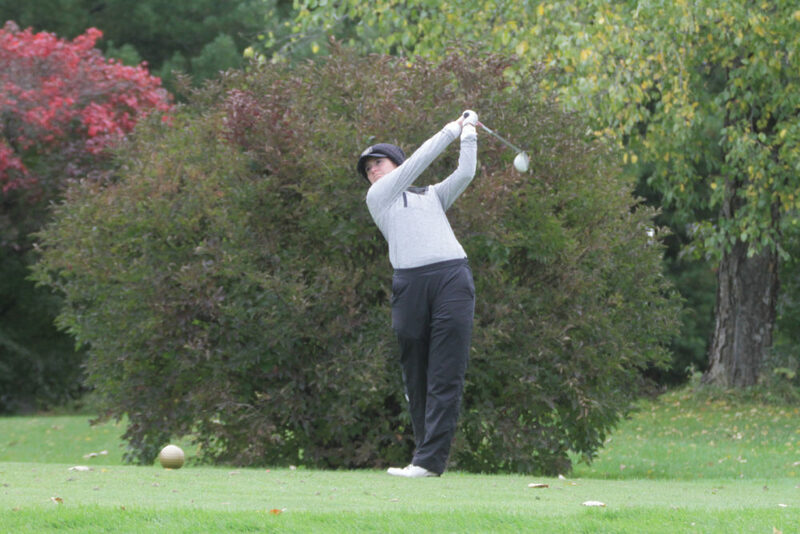 WAVERLY, Iowa – The women’s golf team traveled to Waverly, Iowa to take part in the Wartburg Women’s Fall Invite on Saturday. The Gusties tallied a 325 on the first day which put them in sixth place out of 16 teams. Erin Ericson (Fy., Onalaska, Wis.) was the low scorer for the Gusties as she shot a 77 which was good for an 11th place finish on day one. The second low-scorer for Gustavus was Morgan Bleyhl (Jr., Elk River, Minn.) who posted a 79 on the day. Sydney Regalado (Fy., Rosemount, Minn.) shot an 84 for the Gusties and Kennedy Sommerfeld (Sr., Litchfield, Minn.) and Emily Kratz (Fy., Edina, Minn.) each shot 85. Ellie Brandt (Sr., Wayzata, Minn.) rounded out the scoring with an 87. “We are much better than we showed today and I know tomorrow will be a better day after becoming familiar with the course today,” said Stuckey. The Gusties will resume play tomorrow morning in Waverly.